A visit to the Dachstein Glacier World - The Perfect Stop on Your Trip to the Mountains this Winter! If you are travelling from Salzburg Airport to any of the nearby ski resorts and want to break your journey or look for some fun activity for your kids, a stop at the Dachstein Glacier should be a no-brainer. This majestic glacier with its 2,995m lies on the border of Styria and Upper Austria and is the highest peak of both of these Austrian states. 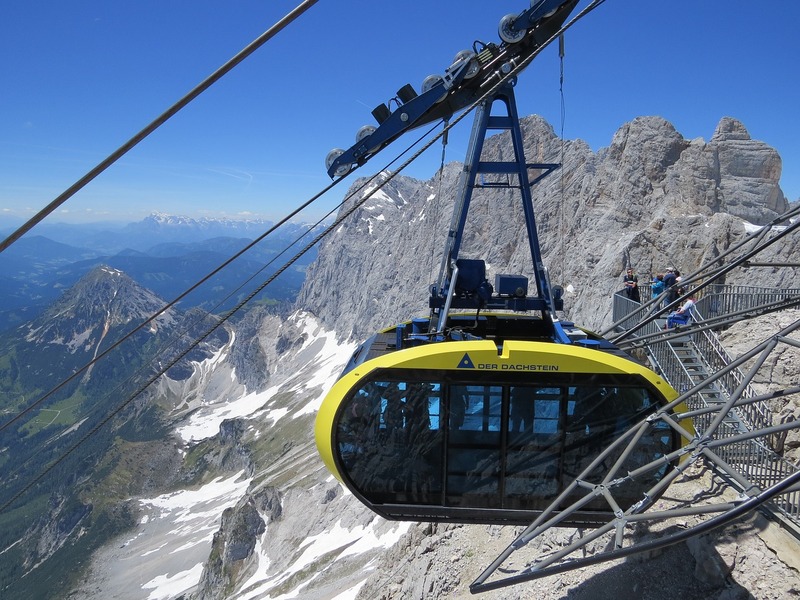 Despite its vertiginous height, getting to the summit is easy and only takes about 10 minutes of an exhilarating ride on the ultra-modern Dachstein Panorama Gondola., especially designed to provide unobstructed 360 views. The panorama from the top will take your breath away as it is no doubt one of the best viewing points in all of Austria. On a clear day, one can see as far as the mountain peaks in Czech Republic and beyond. Look around and you will have all the majestic Austrian peaks at your fingertips: the Großglockner, the highest mountain in Austria with its 3,798m, the Großvenediger (3,666m) as well as the imposing Hochkönig massive (2,941m). To accentuate the thrill of the experience, there are several brilliant attractions that everyone will love. Each will give you an adrenaline kick, though they are all perfectly safe for kids and adults alike. 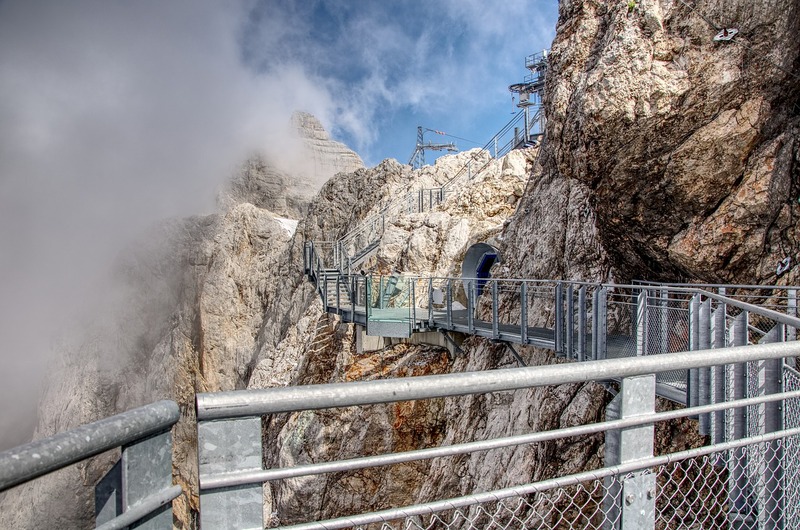 First, perched above the Hunerkogel is the Skywalk, a long viewing platform offering incredible views outwards and downwards. Don’t forget to wander the circular trail around the mountain station to take in the entire panorama. 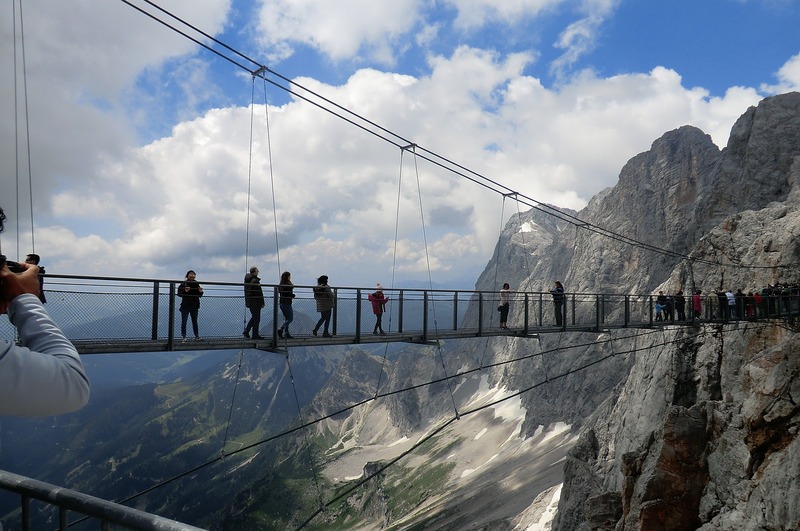 If this experience is not thrilling enough, the suspension bridge, the highest of this kind in Austria, is guaranteed to give you butterflies in the stomach. The Stairways to Nothingness is the real highlight for many. The queue for a selfie on this amazing attraction can be long, but definitely worth the wait. The 14 narrow steps will get you to a vertigo-inducing glass platform creating a really unique sensation for visitors. Even on a less clear day, the views are stunning as you will be wrapped in nothing but clouds. Once you absorbed the mountain panorama, get ready for something completely different and head to the Ice Palace. Created in 2007 by the Austrian artist Walter Thorwartl deep inside the glacier, the palace is a fairytale world of carved ice figures, statues and pillars. There is even a crystal dome. The atmosphere of changing colours and dropping water in the silence is astounding and will charm you. From May 2018, a new part was added to this attraction with carved ice statues of landmarks from various European capitals. Thus, you will find yourself wandering among the Eiffel Tower, the Brandenburg Gate or the Rialto Bridge in Venice. Like the Dutch Madurodam, but all carved in ice! The visit to all attractions is free until 1st May 2019, so hurry up! Coming out of the freezing Ice Palace, you may feel like you have built up your appetite for some Austrian comfort food in which case you have two options. You can either head to the Glacier restaurant alongside the mountain station. Interestingly, the border between Styria and Upper Austria runs straight through this captivating restaurant! Or, if you prefer to return to the firm ground down in the valley, you can taste some excellent yeast dumplings and some other hearty Styrian fare at one of the restaurants at the bottom of the station! Did you fall in love with the magical beauty of the Dachstein? Would you like to spend more time in the area to explore more of the what the region has to offer? Maybe the idea of buying a holiday home in the Austrian Alps is more affordable than you thought and suddenly doesn’t seem so far-fetched. Check out our selection of properties in the area!